India is blessed with beautiful landscapes, natural beauty and vivid cultures, which makes it one of the best travel destinations in the world. This is particularly true for northern India that has mountains, picturesque locations, waterfalls, iconic temples and more for the adventure seekers and travel enthusiasts around the globe. So, plan a visit to these top 6 holiday destinations to gauge and experience the beauty and vivacity of northern India. Meanwhile, thinking of your plans regarding where to visit glance at hotel coupons to aid booking and make your travel comfy and stay in budget. Situated 300 kms away from Delhi, Agra is one of the most sought-after tourist destinations for Indian and foreign travellers. The city features the famous historical monument of Taj Mahal, which was built by the renowned Mughal emperor Shah Jahan and is also regarded as the symbol of love. Apart from the Taj Mahal, tourists can also visit other popular spots such as the Agra Fort, Fatehpur Sikri and the Tomb of Itimad-ud-Daula when in Agra. The distance from New Delhi to Agra is around 180 kms by air whereas the road distance is around 217 kms. Tourists can also book their train tickets to get to the city. The land of Golden Temple, Amritsar was first discovered by Guru Ram Das in 1577. Apart from the delicious halwa (an Indian desert), the Golden Temple also features the mystic pond, which makes it even more attractive for travelers from all parts of the world. Other popular destinations that you can choose to visit include the Jalianwala Bagh, Wagah Border, Durgiana temple, AkakTakht and Harike Wetland. In addition to this, the city also offers plenty of street food to food lovers and enthusiasts from all walks of life. The approximate distance between Amritsar and New Delhi is 451.94 kms. Travelers can either take the bus route to get to Amritsar, which takes around 8-9 hours or travel to Amritsar junction from New Delhi Railway station, which takes around 6 hours. Amristar is also well-connected from the capital by air. Tired of your mundane life? Need to rejuvenate and refresh your mind, body and soul? If yes, then plan a trip to Dalhousie. One of the most spectacular places in Northern India, Dalhousie is home to scenic landscapes and incredible mountains that adorn it further. Originally, Dalhousie was established in the form of a summer retreat in the year 1854 for the British government officials. The place earned its name from Lord Dalhousie and has been built around 5 mountain tops including Kathalagh, Terah, Potreyn, Bhangora and Bakrota. The valley of Pangi and Chamba has made Dalhousie one of the best tourist spots of travellers in and around the world. Besides there are plenty of activities that you can engage in once you’ve reached the town. For instance, you can indulge in horse riding, boating, trekking, rock climbing as well as paragliding and even in river rafting. 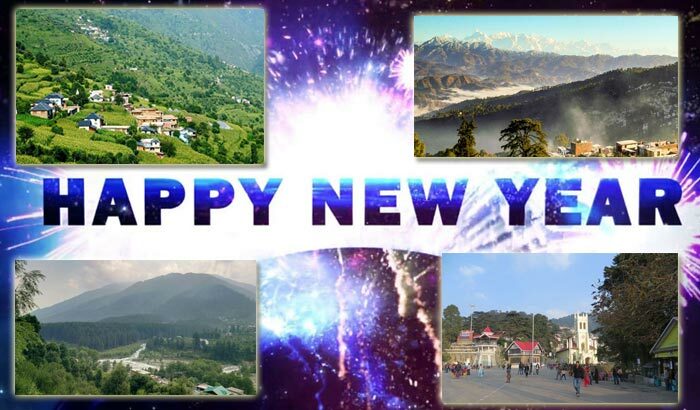 Some of the popular attractions in Dalhousie are Khajjiar, PanchPulla, Satdhara Falls, Kalatop wildlife sanctuary, Daikund Peak, Bakrota Hills or Upper Bakrota and Chamunda Devi Temple. Tourists planning a trip to Dalhousie can catch volvo, luxury or deluxe buses from ISBT in New Delhi. Dalhousie does not have any airport of its own. However, travellers can get to the nearest airport located in other cities close to Dalhousie. While, the Pathankot airport is located only 75 kms away, the Gaggal airport in Kangra district is 140 kms away. One can also hire a cab or taxi to reach Dalhousie. Also known as the city of Lakes, Udaipur is magical and magnificent in every sense. The city boasts of beautiful palaces, amazing havelis, unique temples, rich history, art & architecture. 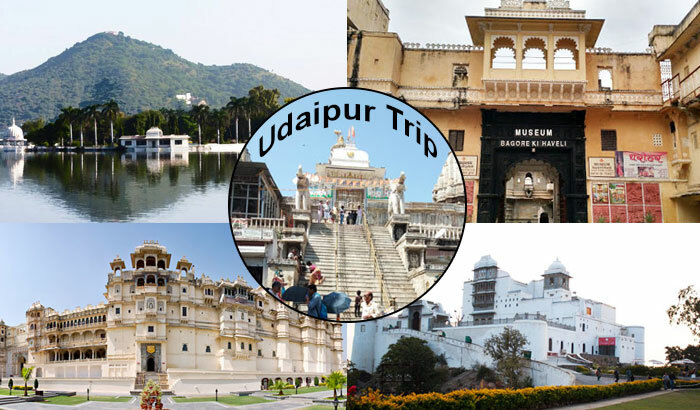 An overnight bus journey from Delhi will land you in Udaipur where you’ll get plenty of hotels and rooms to enjoy a cosy and comfortable stay. It is highly recommended that you visit the City Palace before you go about visiting the other tourist spots in Udaipur. Stretching alongside the Lake Pichola, the palace features mirror-work, inlays, stone-works, old and beautiful wall painting and artifacts that are bound to leave any traveller spellbound.Right from enjoying the amazing boat ride at the Pichola lake to visiting other popular destinations such as the Jag Mandir, Jagdish temple, Lake Fatehsagar, Saheliyon Ki Bari and Bagoreki Haveli, there’s no dearth of excitement or tourist spots in the city. Udaipur is well connected with New Delhi with a number of buses as well as trains plying between both the places. Alternatively, travellers can also catch flight from Delhi to reach the Maharana Pratap Airport located in Udaipur. If you’re into yoga and meditation, then Rishikesh is definitely a must visit spot for travellers like you. At Rishikesh, one can also discover much about Hinduism and salvation. The town serves as an ideal destination for people who’re spiritually inclined and love the idea of visiting temples and ashrams. The town offers plenty of scope for relaxing and unwinding. In fact, Rishikesh can be best experienced by foot. Right from visiting the ghats to walking over the suspended bridges, there’s nothing like visiting Rishikesh. Tourists can also catch a boat near Ram Jhula instead of walking. Evenings in the town are best spent near Parmarth Niketan ashram where one can witness Ganga Aarti. In addition to this, Rishikesh is also one of the most preferred destinations for adventure seekers, rafters and canoeing enthusiasts. Jolly Grant is the nearest airport, which is situated at Dehradun. The nearest railway station is located in Haridwar, which is linked to other major cities as well. Additionally, travellers can also reach Rishikesh by bus from the Kashmere Gate ISBT. Manali is ideal for adventure lovers, newly wedded couples, group travellers and even families. Situated on the banks of the river Beas, Manali has places like Gulaba, Kothi and Solang, where one can engage in their favourite adventure activities. Some of the other popular spots in Manali are the Hadimba temple, situated in the Dhungri Forest, Museum of Himachal Culture and Folk Art that houses unique antiques, Tibetan monasteries of the Himalayan Nyingmapa Gompa and GadhanThekchhokling Gompa, Manu Temple and more. The nearest airport to Manali is located in Bhuntar. After reaching the airport tourists can book pre-paid taxis to get to Manali. The hill station is also well connected to New-Delhi by bus. Apart from this, one can also drive all the way to Manali from Delhi and enjoy scenic beauty all along the route. In a nutshell, northern India has beautiful hills, religious locations, historical monuments, amazing waterfalls, exotic sights and much more for local and foreign travellers. Whether you’re in a mood to holiday or even if you simply need to get rid of monotony from your life, northern India is definitely worth exploring. Share the post "Top 6 Holiday Destinations in Northern India"